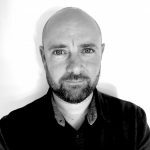 Jason is a highly experienced designer, animator and illustrator and is the founder of Dynamite Studio – a graphic & motion design studio with over 25 years’ industry experience. He is a self motivated creative with a solid understanding of commercial design. His passion is creating captivating visual communications that inspire, engage and positively impact people. Areas that he works in include Creative Direction, Branding & Identity, Design for Print & Web, Motion Graphics, Illustration, Video Editing / Effects, Sound Design, TV & Radio Ads. He has experience working with major brands nationally, and across the world including; Trend Micro, PILZ, The Central Statistics Office, Simon, 96fm, AIB, CUH, UCC, Cork City & County Council. Jason is a client favourite, an optimist who loves a challenge and he is never far from the action.